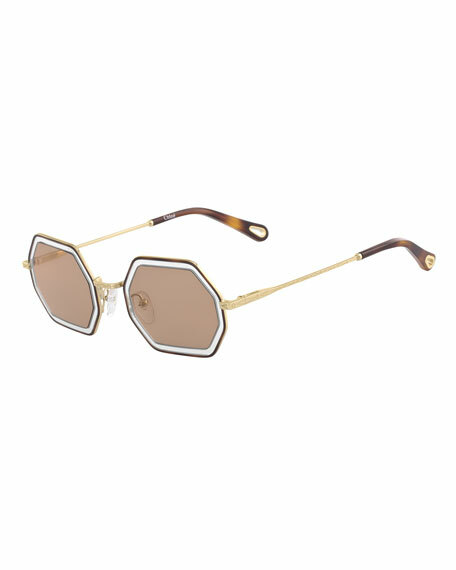 Dolce & Gabbana oversized round metal sunglasses. 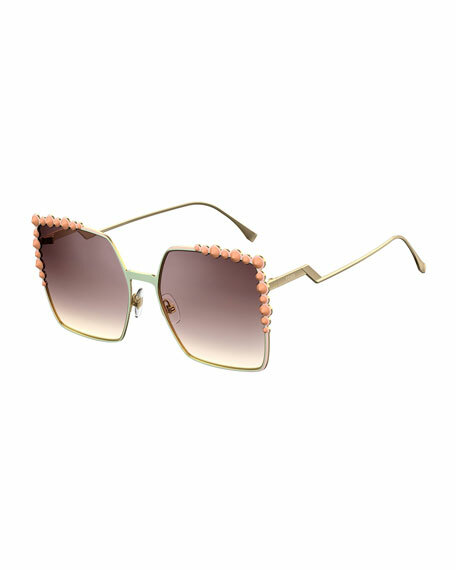 Swarovski® crystal embellishing with bead pavé through frame front. Slim temples with logo script and capped tips. For in-store inquiries, use sku #2154271. Bari Lynn round sunglasses in aluminum and plastic. Rainbow Swarovski crystal trim at frame front. Gradient lenses. Capped earpieces. Polyurethane case. Made in USA of imported material. 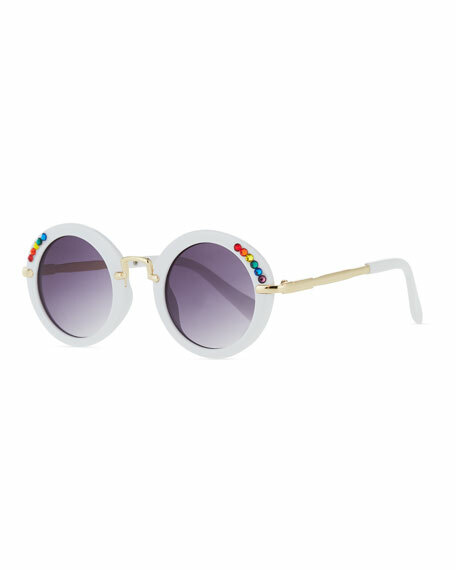 Fendi "Can Eye" oversized square metal sunglasses with enameled, conical stud detail. Lens/bridge/temple (in mm): 60-19-145. Square gradient lenses. Adjustable nose pads. Tiered temples with logo script and bulb tips. 100% UVA/UVB protection. Made in Italy.